Through Jesus, you call us to a different vision. You invite us to consider how, through your Spirit, you cause greater blessing through our sharing than we can imagine. 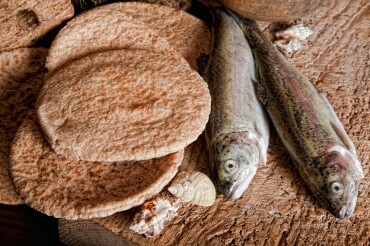 You stretch our loaves and fish beyond where we think they can go for our own sustenance, and for that of others. You are generous with your love and forgiveness, and encourage us to be just as gracious. O God, in seasons of change, center our hearts by the promise of your presence. Guide us forward by a sense of your possibility rather than our own fear. May we be faithful to the mission you set before us to feed your people, and by that same mission may we be fed as well. Amen.